SD Times 100 2018: It’s a celebration! SD Times 100: 2007 — It’s a leader! It’s an influencer! 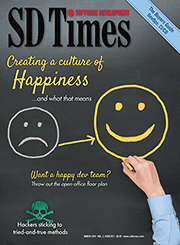 It’s the SD Times 100!